A super thick 32pt business card 3.5' round shape. Spot UV on both sides printed on Silk Laminated stock. 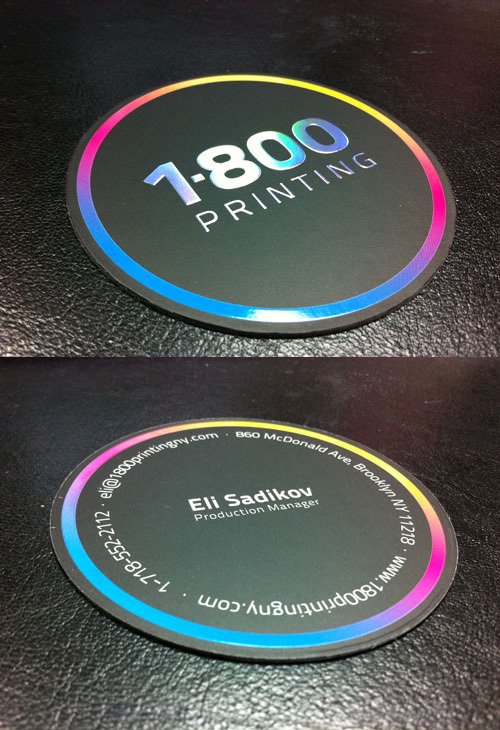 Rainbow FOIL & Embossing on the 1-800-PRINTING Logo.